Gerry Holley (Bear) passed away February 27, 2017 at the age of 74 in Kamloops, BC. He is lovingly remembered by his daughter, Anne Marie (Chris) and son, David. Gerry is survived by his brothers, Mike (Suzanne), John (Debbie), and his sisters Maureen, Patricia, and Rosemary, as well as many nieces, nephews, cousins. Gerry was born on October 2, 1942 and grew up on Townsite Road in Nanaimo, BC. He moved to Kamloops in 1965 to start a job at the Kamloops Pulp Mill. He held many jobs within the mill, and retired as the Fire Chief and Supervisor of Security for Weyerhaeuser Pulp Mill after 33 years. 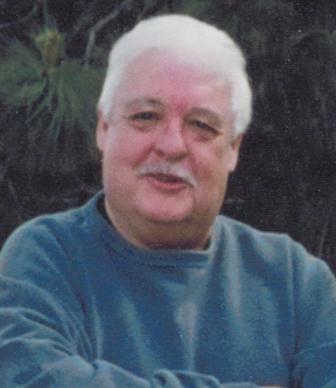 He liked to fish (freshwater, ice, fly, ocean), tie his own flies, hike, BBQ, cook, golf, listen to old time country music, and he volunteered as a firefighter and scuba diver for the Valleyview Fire Department. Gerry loved animals, especially his boyhood dog and family cat. Gerry’s stories and laughter will be missed by his buddies at Duffy’s. You will forever be in our hearts Dad! Our condolences to the Holley cousin’s. May all his memories bring you peace. Cousin Gerry was a genuine guy and a friend to all that he met. The world has lost a true Champion and we have much to be thankful for. Please accept our sincere sympathy for your loss. My condolence to Ann Marie and family. I always enjoyed talking to Gerry when we worked at the pulp mill and later when we were retired on those occasions when we would run into each other in town….usually Duffy’s. Gerry was one of the good guys . He will be remembered…..and missed. I’m very sorry to hear that Anne Marie has lost her father and my sincere sympathy goes out to the family. I remember the stories I heard about this obviously wonderful man. My deepest condolences. I’m sorry to hear of Gerry’s passing. He and my dad worked together a number of years at the Mill and in fact Gerry was my supervisor the summer I worked fire watch at the Mill. 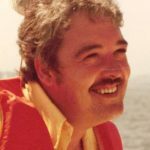 Our family has a lot of fond memories of Gerry over the years from various Weyerhaeuser events and time spent outside of work. RIP Gerry. Sending Hugs and condolences to you and your brother Anne Marie. Treasure all your great memories of your Dad…..I know he was a great person. Thinking of you as move forward, always difficult but know we are all here for you. Dear family and friends of Mr. Holley I am very sorry to learn of your loss. Please accept our condolences. Someday God will end death. Revelation 21:3-5 says: he is going to end death Forever! Have you ever wondered if Jehovah made us to die? No he did not make us to die. We were meant to live Forever! Only because our first parents disobeyed this is why we die. After they sinned they were No longer perfect. They could not produce perfect offspring because they were now sinners. Please think of this as we were told we can think of a cake pan with a dent in it. Because of the dent the cake will come out with a dent. This would be a imperfection. But at last we can rejoice because God had a plan to redeem mankind. He sent his son Jesus Christ to die for our sins so that we could possibly have hope of everlasting life. Acts 24:15 gives us hope for the resurrection. May you be warmly and friendly embraced by all. To the family and personal friends of Gerry, Please accept my deepest and sincere condolences at your loss of a father and a friend. We worked at the mill for many years, shared many work related memories and am saddened by his passing. I don’t know how I missed your Dad’s passing. I am truly sorry for your loss, he definitely was one of the few good guys at the pulp mill, always tried to treat everyone fairly and really cared about people. I ran into him occasionally over the past years and he always had a smile and handshake. He loved his golfing at Quilchena. He leaves a hole, for sure.